Center in Ames, Iowa. Following her wishes, she has been cremated. Funeral Services will be 10:30 am Tuesday, November 20 at the Fry Funeral Home in Tipton, Iowa with a visitation beginning at 9:30 am. Gloria Ann (Biere) Willer was born on March 16, 1933, the daughter of Wilfried and Iva Biere. She graduated from Davenport High School in 1951. After graduating high school, Gloria was united in marriage to Forrest Willer on October 3, 1958, in Bettendorf, Iowa. They were blessed with three children: David, Chris, and Carol. Gloria was a full-time homemaker until she went to work for Wabash Transformer in Tipton. She enjoyed quilting, genealogy, and Riverboat gambling with Forry. She is preceded in death by her parents; sister, Beverly Petruccelli, and husband Forrest. 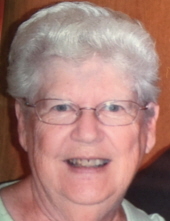 Gloria is survived by one daughter; Carol Willer of Des Moines; sons, David (Ronda) Willer of Lakeville, MN and Chris (Hong) Willer of Ames; grandchildren; Christopher (Stacey) McDonald, Daniel McDonald, Kayla Willer, Kim (Greg) Wilson and five great-grandchildren. To send flowers or a remembrance gift to the family of Gloria Willer, please visit our Tribute Store. "Email Address" would like to share the life celebration of Gloria Willer. Click on the "link" to go to share a favorite memory or leave a condolence message for the family.